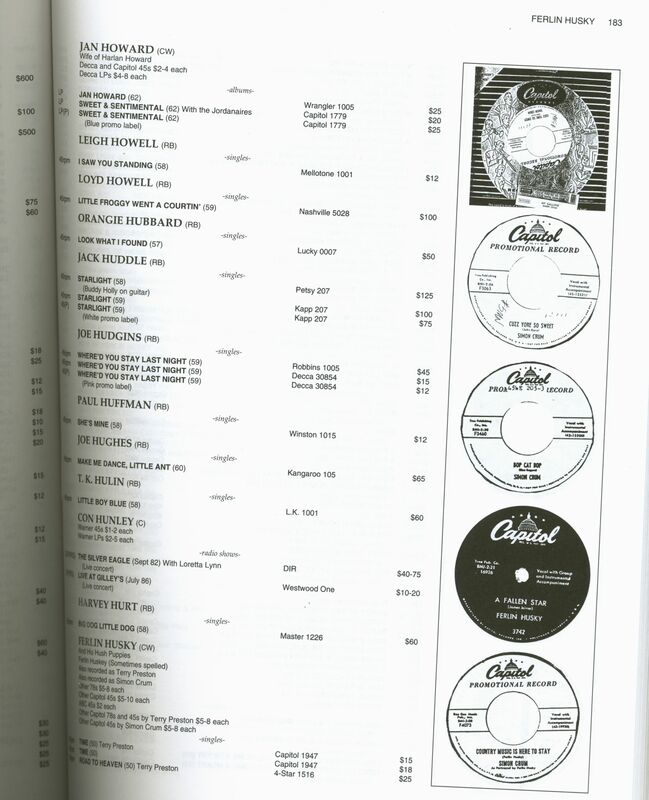 (1996/Krause) English, Paperback, 21.5x28 cm, 448 pages; The definitive guide with 16.000 listings of Country but also Rockabilly 45's, LP's and CD's from the 1920's to 90's. Genius for the collector are the (over 1750) label shots. 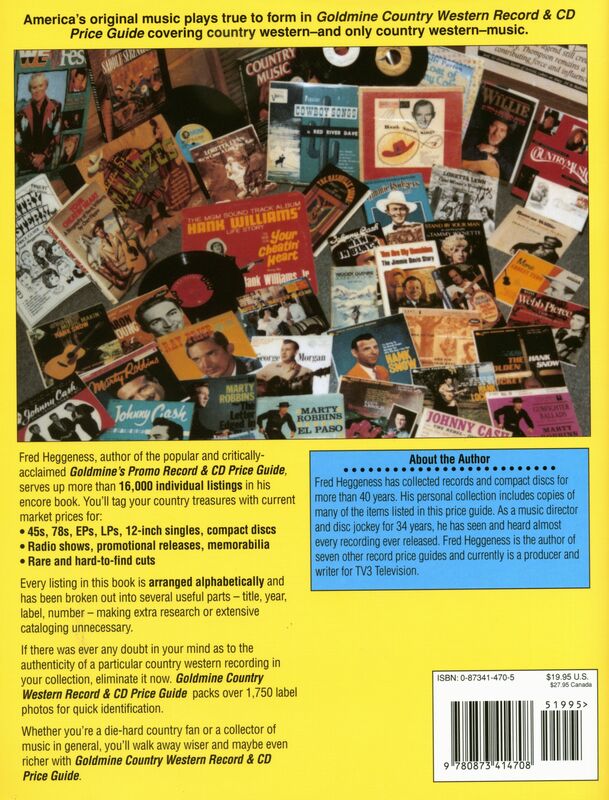 Includes some Elvis Presley and Rockabilly as well. 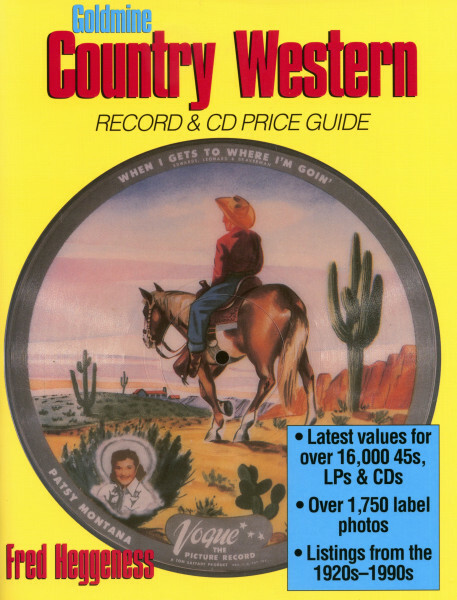 Évaluations de clients pour "Heggeness, Fred - Goldmine Country Western Record & CD Price Guide"